Plastics, don’t we love them? They are convenient and cheap. We asked for more of it, but do we know what to do with it later? Plastics are made to last forever but designed to use once. How should we use this tool wisely to benefit us but not destroy our environment? 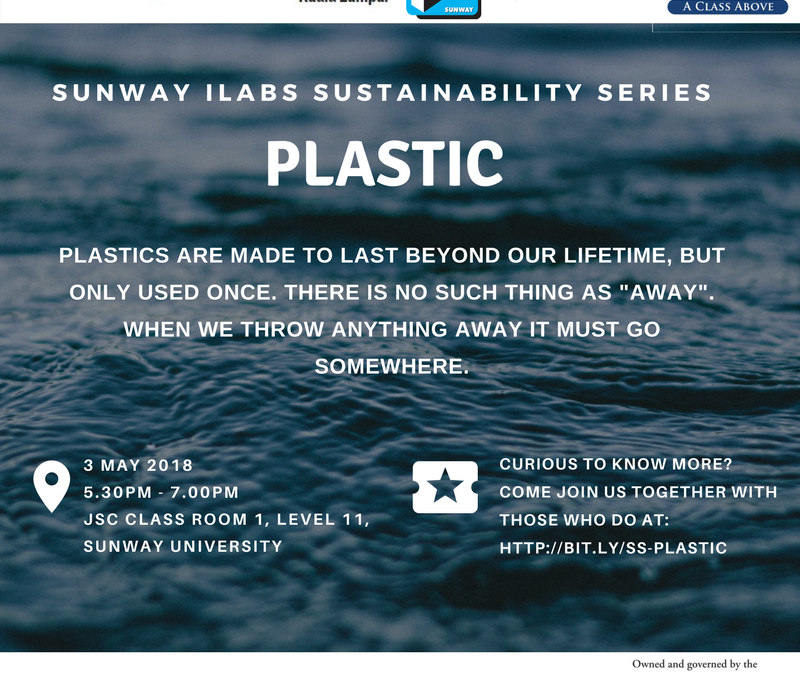 If you are interested in the questions above and want to know more about the story of plastics, we will hold a session on 3 May 2018 to explore the industry and the story. Come join us and be surprised!